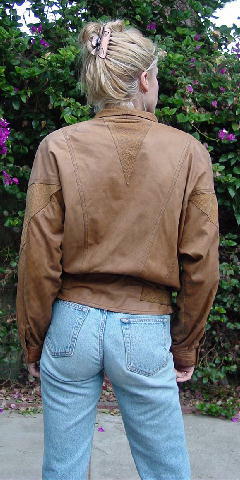 This vintage tan leather jacket has faux snakeskin pattern collar, lapels, tie belt, trim, and accents. It has 4 textured metal front snaps and one on each long sleeve cuff. There is a small dark spot on the back of the right side. It has a nice cocoa-peach lining of 50% acetate and 50% nylon. There are two 26" ties, one on each side. 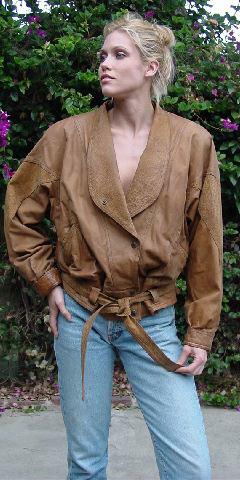 It belonged to a German model who wore it over her big sweaters.